I am going to look at a 2007 GTS 250 tomorrow. I have had a few scooters, but have never owned a Vespa. 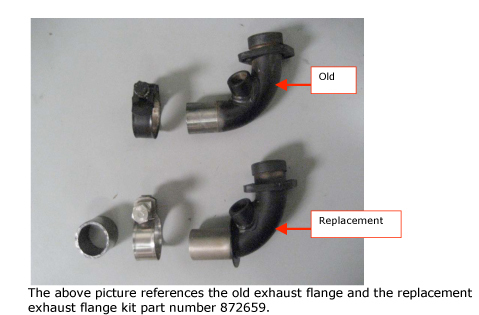 I know that there was an exhaust clamp/gasket issue with this model, but I believe there was a recall to address the problem. This scooter has 2,800 miles and a scrape/dent at the rear on the left hand side. Is there anything in particular (for this year and model) that I should be looking for as I inspect this bike? I would give it a once over....how does it look other than the scrape? how does it sound running? does it fire right up? I have a 2007 GTS and was told that they are not affected by the fuel pump recall. Sometimes people are reluctant to answer because they don't want to become implicated or they just don't know. A 2007 with that little on th clock is not going to give you grief. The exhaust gasket is a cheap and easy repair if needed as well. I think it sounds OK but heck I'm 10,000 miles away. I've got the exact same ride. Bought mine with 8900km on the clock back in August of last year, and have put another 7000km on it in one year of ownership (the previous owner didn't ride nearly as much as me). Mostly city riding but with at least a few thousand kms at highway speeds (+100km/h or 60mph). I average about 72mpg (see my signature). I put a new set of tires on at 11,000kms, a set of Michelin CityGrips. Good tires can not have enough words spoken about them. If your tires are old or worn, the bike will ride like it's old and worn. The new tires gave me more grip and gave the scoot near-Cadillac ride qualities. In terms of issues and service, I haven't had any problems. I do most of my own work, so after I bought it all the fluids were flushed, filters were cleaned, etc. Now that I'm at 16k I'm thinking of doing the oil again as it will have been almost a year since I did it last. Your potential scoot has so few miles on it that all it really needs to be tip-top is a fluid swap. Don't drive around on oil that's been sitting in the engine for four years as it will have the lubricity of pancake syrup and rusty nails. Most of all, enjoy it. As others have mentioned, fuel pump recall doesn't affect the earlier GTS models, and the one real defect, the exhaust gasket that fails, isn't difficult to deal with, just know that it can happen. Another thing: Make sure that the owner has the "Red" master key (it's really more brown than red) and the blue key. The red key is mucho importante. Also, keep in mind that it's an 07 and that unless the present owner has kept up with all of the maintenance, all of the fluids are probably due for a change: Oil & filter, rear hub oil, coolant and brake fluid. Also, the battery will probably be on it's last legs. Acceptability of scrapes and dents in the metal body are your call, of course, but actual repair and repainting of the metal body is fairly expensive. That possible cost should come off the purchase price whether you plan to fix it or live with it. The 250 is a good scoot. Like others have said make sure you get both keys. Check the tires if they haven't been replaced for cracks. All the rubber bits are 5yrs old and rubber can degrade a bit over time. Sounds like your getting a good deal. Pics of it when you get it,please. Just have fun with it. If the tires are original you will have that expense. Look for the label "SAVA" junk tires by most accounts, but they do mask the wobble. Thank you all for the good advice. I did a quick once over this morning. It started right up and sounds fine. The trim around the front panels doesn't seem to fit properly as it goes around the corners. The bike has been outside for part of its life, so there are some rusty screws on the rear. The scrape is cosmetic, but will probably be fairly expensive to fix properly. There are also a few small bubbles under the paint in the rear. 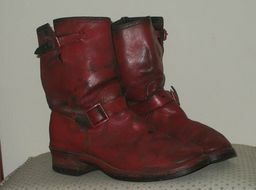 Either poor quality from the factory, or evidence of repair damage. I'll check on the key situation and make an offer. The scooter is blue with a very light color seat. The owner has the blue key and two clones. He does not have a red or brown key. Is the blue key the master for this bike, or should he have the brown key? Not having the red key is not good but it's not a deal breaker. The red key is used to program new blue keys. 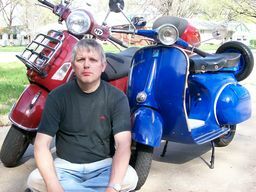 Modern Vespa member Jimh is the key guru here and he can make more blue keys if you need them. He will also record your key code so that if all keys are lost he can replace it. Maybe you can use the fact that the master key is gone to reduce the price a little. Good luck. Yea chris-I'd use the absence of that red key as a way to keep the price down along with all the cosmetic stuff. I also have a 2007 with about 17,000 miles on it. Bought it new and have done all the service. I'd be leery of the tires and also the battery and just to make it all run right, change the oil and fluids. You'll be glad you did. I suggest it might be worth a trip up there or to a mechanic you trust just to get a bike that's rolling right. I buy my tires from Josh at The Scooter Garage as well as some other accessories. Good guy. I purchased a 07 GTS 250 less than 2 months ago with 410 miles and have had a blast. Lucky to have a couple of Yamaha scooters also (Vino 125 & Zuma 125) and a few motorcycles. Since I picked up the Vespa I have ridden it as much as the others combined. It was my first Vespa and doubt it will be the last, already thinking about another, just need to finish up the mods on this one. The owner says that he recently replaced the battery and the rear tire. He says that it has had a recent oil change, brake flush and coolant flush. It comes with a spare rim and tire. oooooohhhhhh-I think you be riding that pretty bike real soon. Once you get settled in-take it on a nice trip to Mebane and have my buddy Josh do a once over. A spare rim and tire? And only 2800 miles. have you asked him why he's selling? he'll prolly say "cause it hasn't been ridden much," but? I think you might have gotten yourself a deal. If the owner can produce the receipts for the work being claimed to be done, then I'd say pull the trigger if you want it. Good looking scoot, but then I'm biased. 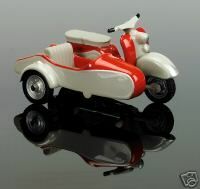 Nice looking scoot! 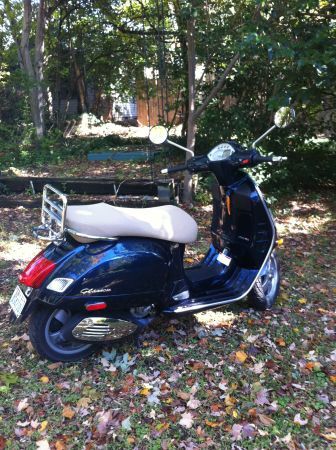 I have a 2007 GTS -- it's the "best" Vespa model, in my opinion. Still has the electronic dash. No fuel pump recall problems. I got my last year, used, and have gone about 7000 miles on it so far without a single problem. I love that bike! I highly recommend the 2007 GTS. You won't be sorry you got it! As far as painting, I got mine with lots of scrapes and dents on the rear cowels. Had it profesionally repainted, and it cost me $800. YMMV. As others have said, the exhaust recall is a BIGGIE since it can burn a hole in the brake line. If you have a Vespa dealer nearby, the repair is covered by Piaggio. No red key............some scrapes, etc. If you're satisfied that he has done the maintenance, my opinion is that it's worth a low of $2800-$2900 and a high of $3200 but the scrapes, dents, etc won't be cheap to fix. I would just do some self-repair to stop any rust and ride it. Good luck with the purchase.